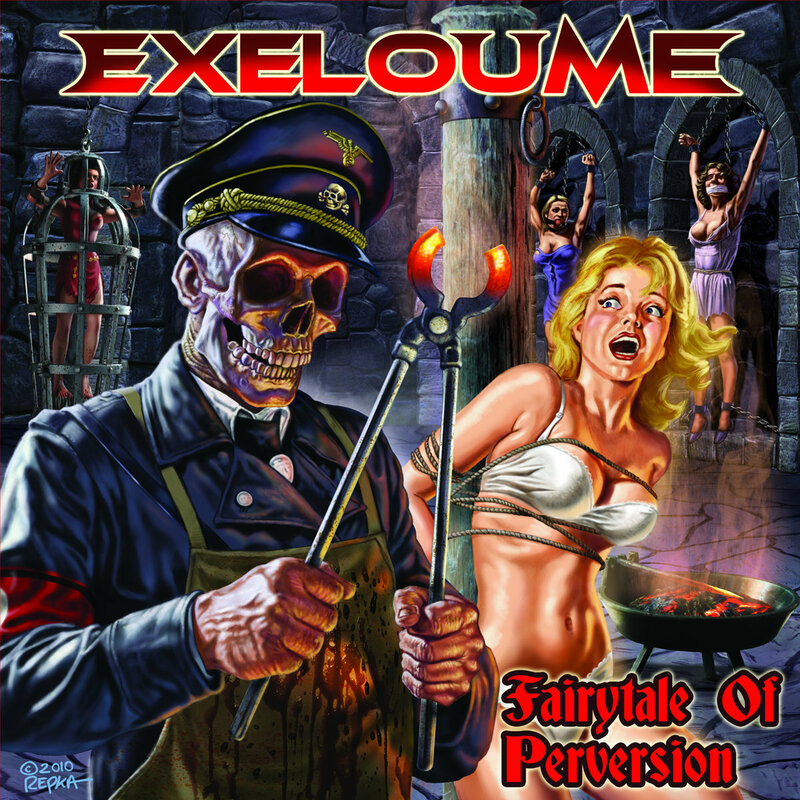 EXELOUME are a Thrash Metal outfit from Trondheim in Norway. The band are mostly influenced by American thrash metal from ’85-’89, and old-school death metal from ’89-’92, filling a niche that are scarce in today’s music scene. Exeloume holds a very strong line-up, almost a supergroup of veterans in the Norwegian metal scene. The band is now set to release their crushing full-length debut-album “Fairytale of Perversion”.